CARLSBAD — There is a new addition to next week’s Kia Classic at the Park Hyatt Aviara Resort. Kia has taken on an official charity partner for the 2016 tournament, one with a focus of putting military veterans into the workforce. 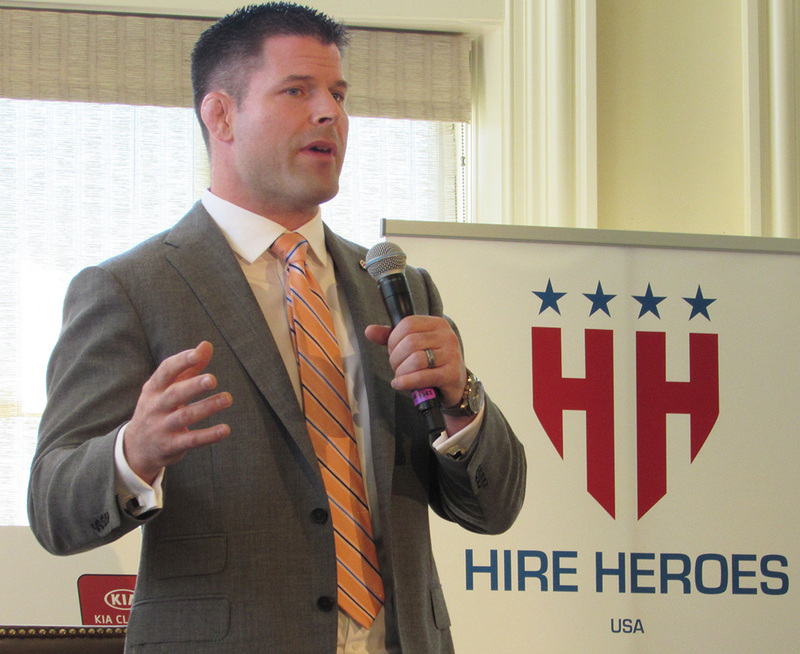 Hire Heroes USA, led by CEO Brian Stann, has come on board thanks to the efforts of Kia Director of Corporate Communications Scott McKee. McKee said during the March 9 media day once he discovered the organization, research and due diligence was conducted to make sure the operation was on the level. Many charities, especially military-focused ones, have come under fire in the past several years for shady practices. Once Kia finished its research, they formed a partnership and offered an initial donation of $25,000 to the charity. In addition, a percentage of the ticket proceeds will also be donated to Hire Heroes USA. Nevertheless, Hire Heroes USA boasts an impressive resume of a four-star rating for fiscal management and transparency from Charity Navigator and a gold star rating from GuideStar. The charity’s mission, though, is to assist with the transition of veterans into careers, not place-holding jobs, Stann said. The company uses a one-on-one model as its associates are dedicated to a veteran and their family helping them with resume building, interview skills and career paths. Perhaps the biggest challenge facing the charity and the country, Stann said, is the number of military members leaving the service in the next four years since World War II. He said the total will reach more than 1 million people. The company brings in more than 360 veterans, crafting an average of 160 resumes plus 1,500 counseling sessions per week, he added. Last year, the company assisted more than 8,000, but this year will nearly double its reach to more than 15,000. The charity has offices in San Diego, Torrance, Colorado Springs, Colorado, Raleigh, North Carolina, Dallas and Auburn, Washington. They are based in Alpharetta, Georgia. For information about the charity, visit hireheroesusa.org.